The class is for players from 70-160 matrix points. Every week, we will focus on a different theme to build onto your solid foundation. The class consists of feeding, drills, routines, and conditioned games in a small group environment with maximum 6 players on two courts. East Coast Squash Academy specializes in Small Group Classes which takes a maximum of 6 players at one time over two courts. The drills are challenging and are aimed at improving technical and tactical aspects of your game. Improve your fitness and your game through a number of challenging drills. Aaron runs the class under a fun and structured environment, working on his four key components: Mental, Physical, Tactical and Technical. - Each session incorporates a THEME - our coaching team apply the Deliberate Practice Principals for Champions! - Routines: Aaron goes through over 30 different variations of routines that he believes are key to improvement. They teach the basics of the game and help develop understanding of positioning the ball, consistency, better understanding of shot choice and how to move around the court. - Restricted Games: these are the closest simulation of a match. Aaron has a big repertoire of restricted games that he likes to run through, to help players develop understanding of out maneuvering there opponent. This builds strategical understanding and gives players purpose of how to strategise and build a plan when playing a match. - Match play: Aaron assess your game and will give you feedback on area's of improvement needed. - Physical: Our sessions include short burst circuit classes, ghosting movements and court sprints. These are squash specific exercises as we need to train at high intensity and at the same time have a good fitness base. Strength and power are important to explode to the ball and off the shot. The base of our training is interval work, because of the specifics of the psychical component of the game. To help you decide which class is correct for you if you do not have a matrix ranking yet, please contact us so we can assist you to join the right class for your standard. 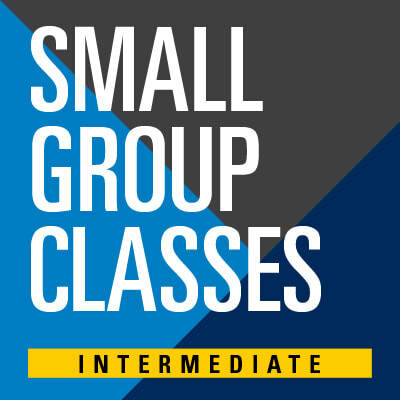 We have different locations and times that will be available for each class for the maximum convenience; If you buy a pack, the time you select will remain your time for each week of your pack. Each class will be capped at 6 players, so make sure you book as soon as you can before spots fill up.